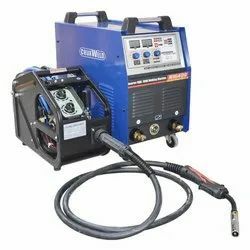 We are involved in offering an extensive range of MIG TIG Welding. Offered products have sturdy welding heads, a useful display unit and can be used easily due to their automatic functions. These are highly appreciated among our clients due to their trouble free performance and long life. Output Current Range: 400 amps. 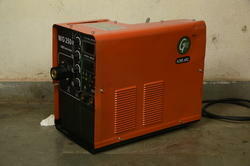 As per the needs and requirements of our clients, we are involved in providing MIG 250 Welding Machine. Our range includes MIG MAG CO2 Welding Machine, which possesses higher arc time that enhances overall productivity of the operations. It is used in companies of all sizes to stainless steel, aluminum as well as alloys of aluminum in environments where suitable consumables are used. SigmaWeld Pro series is state of the art digital welding technology operating at 150kHz. Very quick response time and better welding performance each time. The modular technology helps increase duty cycle upto 100% and ensures maximum machine uptime. The Pro MIG series is available in 3 varients to Synergic, Pulsed and Special programs for Aluminium pulsed welding.